Switch up your look to match your mood! 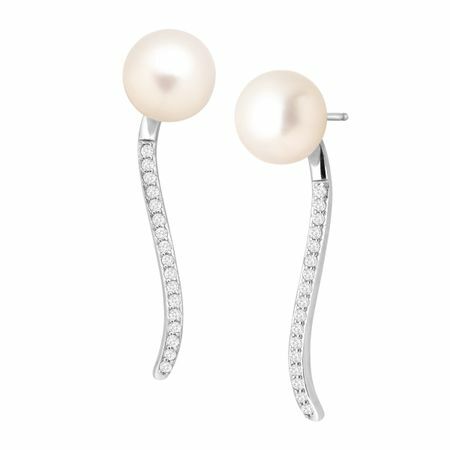 8-9 mm freshwater button pearls can be worn as solitaire studs or attached to 1 3/16-inch sterling silver bars, featuring round-cut white cubic zirconia, for a versatile look you'll love. Complete with friction back posts. Pieces measure 1 5/16 by 3/8 inches.